Delphic spice a mix of Allspice, chili pepper, cloves, cinnamon, onion, nutmeg, thyme, garlic black pepper and salt. Delphi sauce made from chopped onion browned with a sprinkle more of spices splash of white wine or beer.Table spoon of brown sauce and tomato ketchup.Reduce, season to taste and serve. My suggestion would be a elegant red wine, a little spicy and fruity on the aroma, maybe a Real Fado (from the Lisboa wine region), made with native Portuguese grape varieties. Or, if you want to be more high-spirited, try a rose, like Summer Lovers Rosé, made from Syrah and Aragonez, it's a little "petillant", full of aroma of red berries, acidity balanced by the roundness and elegant mouth feel. By the early 18th century, the table sauce had made it to the Malay states (present day Malaysia and Singapore), where it was discovered by British explorers. The Indonesian-Malay word for the sauce was kĕchap. That word evolved into the English word "ketchup". What a terrific meal to serve my family. 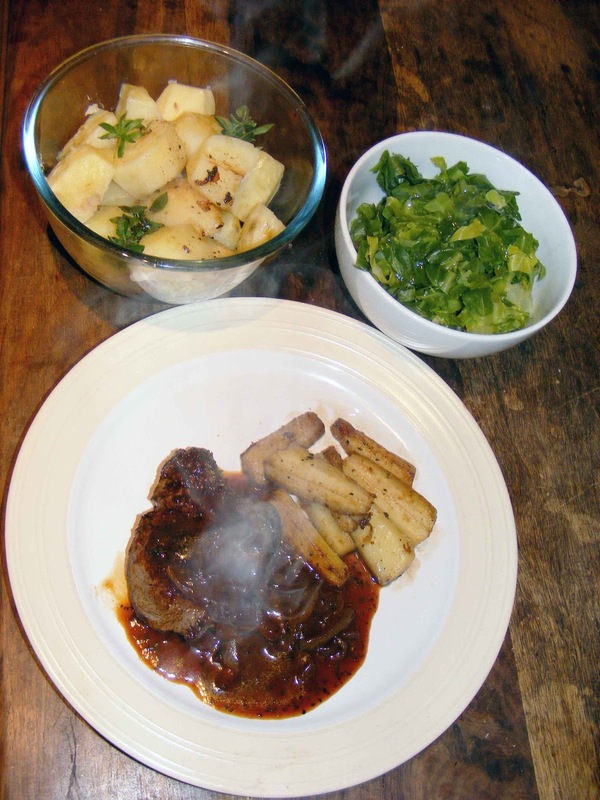 They will love these fantastic Aberdeen Angus Fillet Steak. I must bookmark this to make soon. Thanks for the guest post on Chef Dennis' site! These dishes all look delicious! They must also be very flavorful. Great recipes!